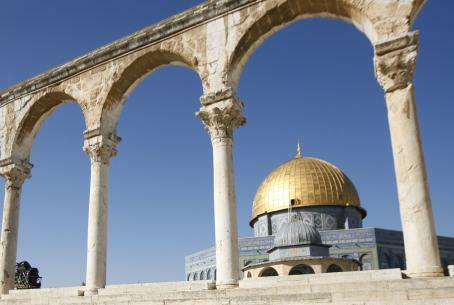 The Arab League will hold an emergency session on Wednesday in the wake of the Knesset discussion on the Temple Mount, the Bethlehem-based Ma’an news agency reports. The PA’s ambassador to Egypt, Barakat al-Farra, was quoted as having said that the recent visits of Israeli rightists to Al-Aqsa will lead to more tension and turn the conflict into a religious one. “If Israel continues this policy, it proves that it does not want peace but continues to violate international laws and resolutions,” he said, according to Ma’an. Al-Farra added that the international community must fulfill its duty to protect holy sites. It was unclear to which “visits by rightists” Al-Farra was referring to. Last week, MK Moshe Feiglin (Likud-Beytenu) ascended to the Temple Mount after ten months in which security forces refused to let him set foot there. Feiglin has been a long-time campaigner for Jewish rights on the Temple Mount. Despite being the holiest site in Judaism, under Muslim pressure authorities enforce a raft of draconian restrictions, including a ban on praying. Religious Jews are sometimes arrested for attempting to worship at the site, which was the location of the two Temples in Jerusalem. This very fact proves that the PA’s claims of “Israeli attacks on the Al-Aqsa Mosque” are outrageous and that, in fact, the opposite is true. Feiglin is also the MK who initiated Tuesday’s debate in the Knesset about the Temple Mount, during which he attacked the discriminatory management of the holy site, which is under the de facto rule of the Waqf. On Tuesday morning, hours before the Knesset debate, riots broke out on the Temple Mount, as Arabs threw rocks and firecrackers at police when they opened the Rambam Gate, the only entrance through which Jews are permitted to enter the compound. As a result police closed the site to Jews.